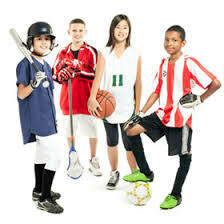 Kid’s playing sports NEED a Sports Guard! Many people play contact sports on a regular basis. This is typical among children, teenagers and adults. A traumatic accident to the mouth can cause a loss of a tooth. Wearing a mouth guard is important for the prevention of fracture or injury to your teeth. Having a mouth guard properly fitted at your dentist is important for comfort and maximum protection of your pearly whites. Nutrition problems as crunchy foods could be difficult to eat. For baby teeth, the potential of adult teeth coming in crooked. Call the office of Dr. David M Glasscock DDS Family and Cosmetic Dentistry to fit you or your child with the proper mouth guard to ensure your teeth are protected. Monday: 8 a.m- 5 p.m.
Tuesday: 8 a.m- 5 p.m.
Wednesday: 8 a.m- 5 p.m.